Liwajhillah is a not-for-profit organisation dedicated to the distribution of Islamic resources for free - for the pleasure of Allah. 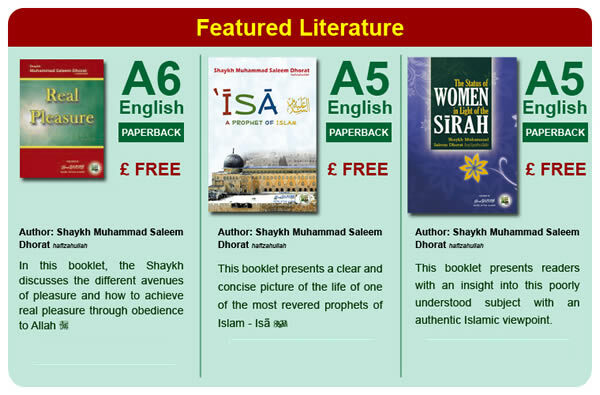 Our aim is to offer brothers and sisters authentic and beneficial books for free. We cater in particular to students, scholars, people in search of guidance and the needy. Your support in helping us meet our aims is highly valued. We appreciate your du'as for the success and acceptance of our endeavours, and your generous donations. To find out how you can help or for any queries, please contact us. Copyright 2010 Liwajhillah - For the Pleasure of Allah.